Australia, from the red Earth of the outback to the white sand of the beach, from the kangaroos to the crocodiles, from Melbourne to Cairns, everyone will agree; what an amazing country! With this family game, you will enjoy, discover and laugh while travelling around the country following landmarks, cities and regions, finding gold or getting bogged in the desert. This game is made in Australia and has been printed on fabric using water based ink. The playing pieces are wooden discs stamped with 6 iconic australian animals. The players have to reach Tasmania, taking turns at rolling the dice and following the arrows from place to place, moving forwards or backwards depending on where they land. To add a bit of cooperation in this race, they can even ask for help from another player when they get bogged in the desert! The Map Game takes you around France, from the granite coast of Brittany to the Island of Beauty -La Corse- and lets you discover our legendary baguettes and cheeses, the Loire valley castles or the fortified city of Carcassonne. Play through this wonderful country and get surprised by the regions’ landmarks, go skiing with a friend or take your time to visit an island or enjoy a spa! If you wish to purchase The Map Game -Australia- or -France- please go to the Retail-Wholesale section of this site to find a retailer near you. From March 2018: A few changes are happening for Paris-Bourke. 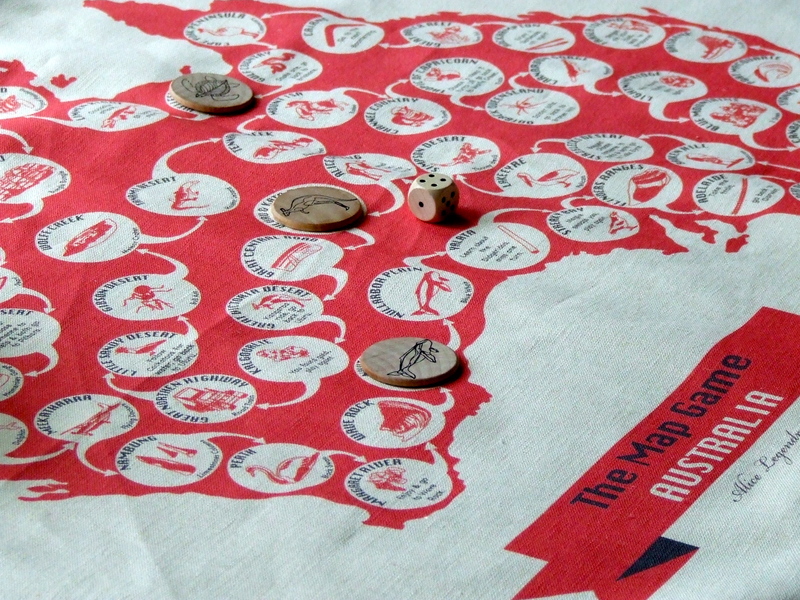 In 2012, The Map Game was entirely made by hand for the first series and then produced with talented contractors in Melbourne to sell to more customers and shops around Australia. 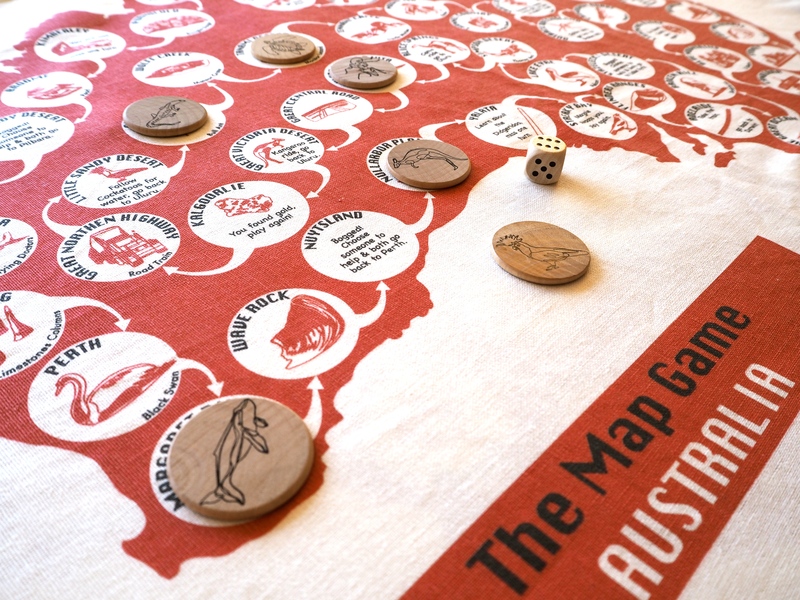 The Map Game -Australia- and The Map Game -France- are now produced in a limited edition manner. Their availability is announced on Instagram and our mailing list before being listed on our online shop. My favorite social media is Instagram, you can find behind the scene pictures and instant deal for the Map Game here.